Westchester, N.Y. — Axial Theatre’s annual spring fundraiser is coming to its mainstage on the campus of St. John’s Episcopal Church in for an evening of celebration on Saturday, March 30, from 7-10 p.m. The professional theater company and acting conservatory, which operates out of Pleasantville (N.Y.), will honor Howard Meyer, founder of Axial Theatre, with a variety of entertainment selections from Stephen, serve gourmet bites and libations; and offer a silent auction featuring a one-week getaway in Cinque Terre on the Mediterranean coastline of the Italian Riviera, Broadway tickets, and other exciting items. Past and present members of Axial Theatre will present a tribute to Howard Meyer, Axial’s founder, in a variety of entertainment formats. There will be a cornucopia of gourmet bites, both savory and sweet, with wine and other beverages. Tickets for the benefit are $60 and include all food and beverages. The campus of St. John’s Episcopal Church is located at 8 Sunnyside Avenue, Pleasantville, NY 10570. For ticket information, visit Axial Theatre’s Facebook page or website at AxialTheatre.org; or contact Axial at [email protected]. 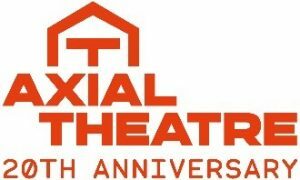 Founded in 1999, Axial Theatre is a professional theater company that presents contemporary theatrical hits; timeless stage classics; and original works in mainstage spring and fall productions plus a series of book-in-hand staged readings. Howard Meyer’s Acting program offers beginner through master acting classes for tweens through through adults as well as workshops focusing on such areas as voice, movement, auditions and improvisation. Playwriting classes are taught by award-winning playwright Gabrielle Fox. This entry was posted in Press Releases and tagged Axial, theater. Bookmark the permalink.